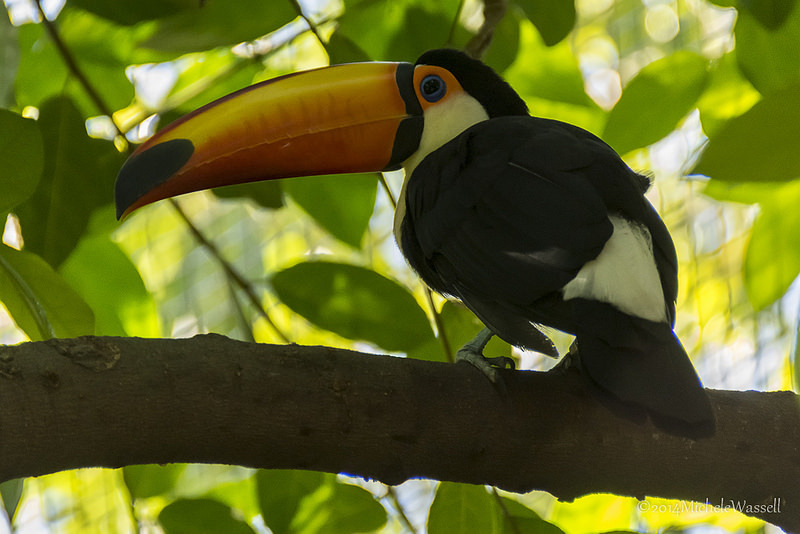 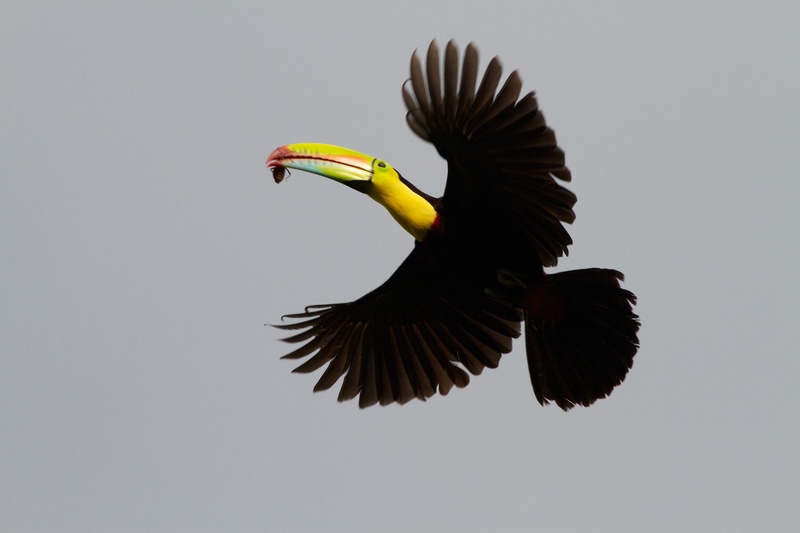 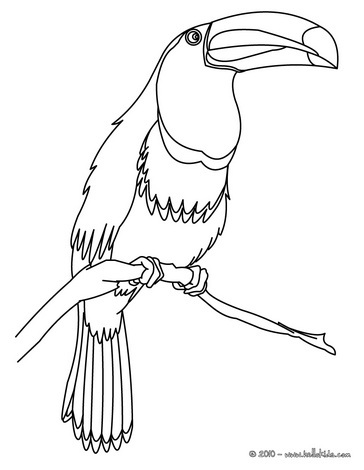 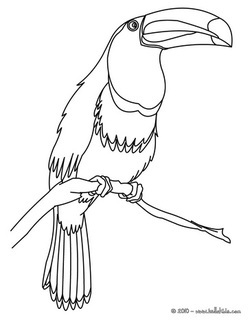 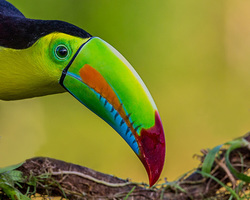 The Keel-billed Toucan bird can be found in rainforests from southern Mexico to Venezuela and Colombia. Their big bills can grow from 4 1/2 to 6 inches, a third of their 20 inch body length, Their bills are very big, but also very light. These birds are most active at dawn, when the sun is coming up, and dusk, when the sun is setting. 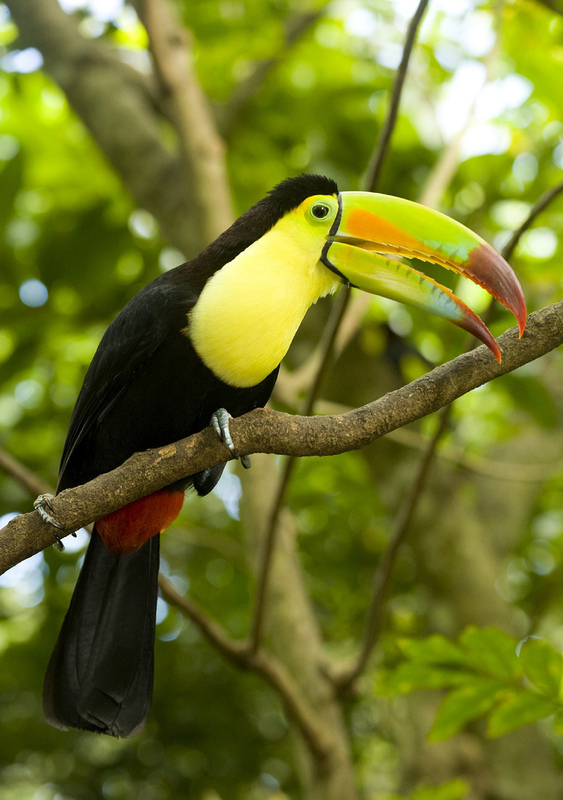 They mostly eat fruit, but also eat insects, lizards, tree frogs and even eggs. 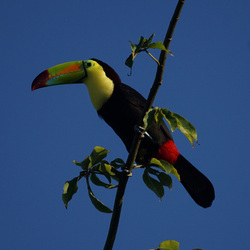 They live in groups of 6 to 12 birds.